We were sorry recently to hear of the death of the Rev’d Roger Steward, who served as minister at Hatfield Road between 2007 and 2009. Roger’s funeral will take place on Tuesday April 9th. 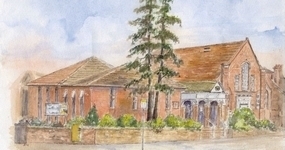 There will be a short service at Seven Hills Crematorium, Ipswich at 10.30am followed by a Service of Thanksgiving at Capel St. Mary Methodist Church at 2.30pm. Family flowers only. We hold Judy together with Rebecca, Daniel, Anna and all the family in our thoughts and prayers at this time.